Deandra Dottin returned the best bowling figures in Women's World Twenty20 history as West Indies inflicted a huge defeat on Bangladesh. Windies all-rounder Dottin – who holds the record for the fastest hundred in women's T20 internationals courtesy of a 38-ball ton against South Africa in 2010 – took 5-5 from her 3.4 overs in a 60-run victory. The 27-year-old delivered 18 dot-balls in her magnificent spell, claiming the cheapest five-wicket haul by a woman in the shortest format. Opener Dottin made just eight with the bat as the Windies set a modest target of 107, but she produced a tremendous display with the ball as Bangladesh slumped to 46 all out in 14.4 overs – the lowest total at a Women's World Twenty20. "There's no doubt in my bowling attack, I am pretty confident in that department, they can defend any score. 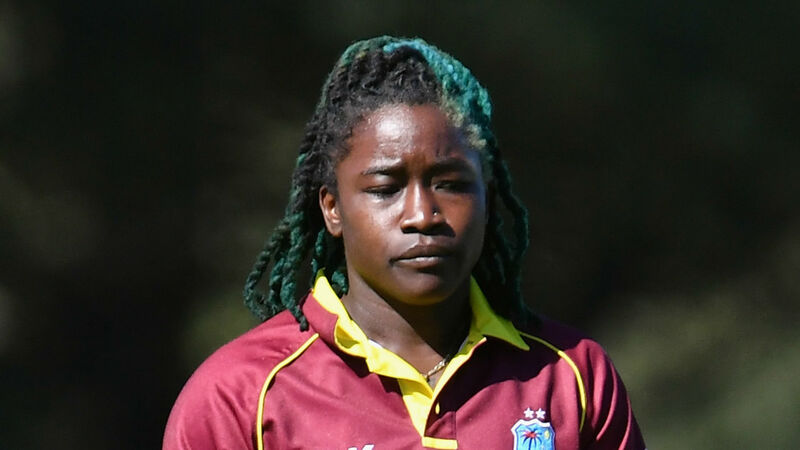 Dottin was outstanding, the five wickets she took was excellent, but definitely, our batting needs to improve," West Indies captain Stafanie Taylor said after her team opened their campaign in style in Providence. Earlier on Friday, Harmanpreet Kaur became the first Indian woman to score a T20I century in a 34-run victory over New Zealand.